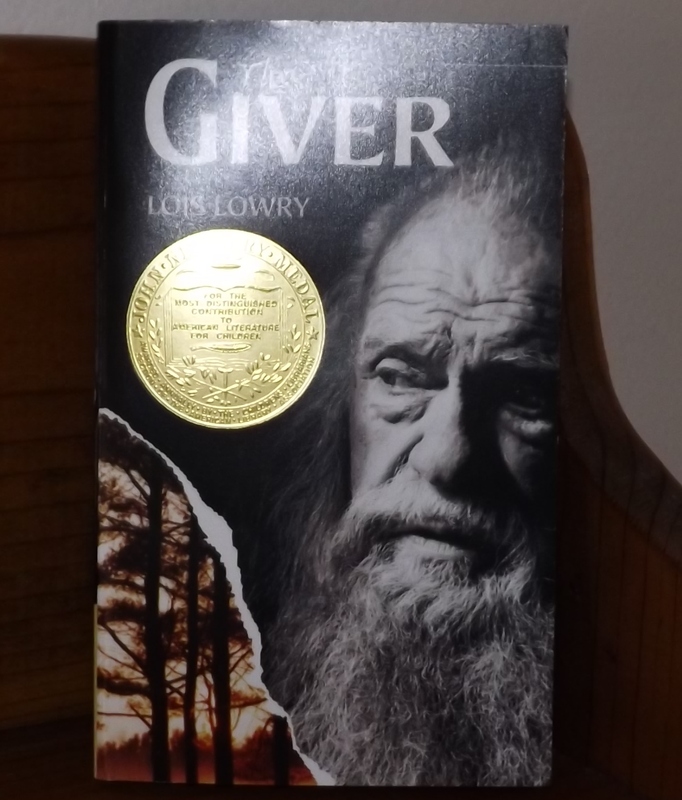 “The Giver,” by Lois Lowry. I thought this was an excellent story to be read again and again and again! In “The Witch of Blackbird Pond,” Kit, a sixteen year old girl, was raised by her grandfather on the island of Barbados. When her grandfather dies, she sails for Connecticut where she must live with her aunt and uncle. Quite a change, to say the least! Kit becomes friends with Hannah Tupper, an interesting older woman who lives alone. The colonists believe Hannah is a witch. Not good! This is a Newbery Medal winner! I liked “The Witch of Blackbird Pond.” As kids read the story, there might be many questions in regard to this book, so, I recommend that an adult read the story also. “The Sign of the Beaver,” is a Newbery Honor book! It’s another great story by Elizabeth George Speare! Matt, a twelve year old boy and his father, travel to the wilderness of Maine, to build a cabin for their family. Once the cabin is built, Matt’s father travels to retrieve the remainder of their family and Matt stays at the cabin alone. This is a great adventure story. Matt is so courageous, but he does face some challenges. He becomes friends with an Indian chief and his grandson. 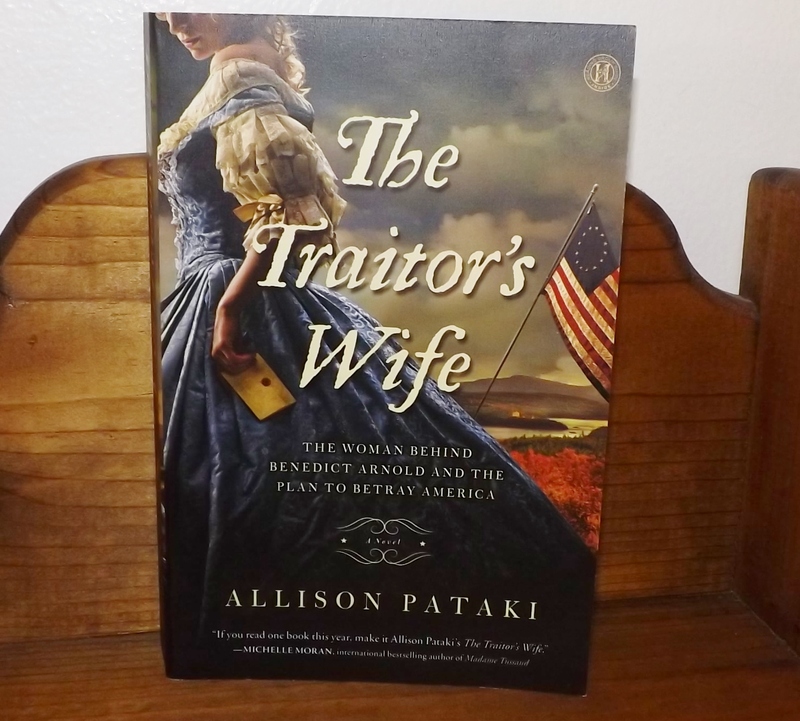 As the months go by and his family does not return, he must decide if he should give up on seeing his family again and move north with the Indians. I think this would be a great story for a family to read together! “The Bronze Bow,” is another Newbery Medal winner! I think any youngster who reads this story will have many questions. This is a rich and satisfying story of Daniel, a young man consumed in hatred and anger and his journey to understand and accept love. “Sparkling Cyanide,” or “Remembered Death,” is a Colonel Race mystery! That’s right, no Poirot, no Miss Marple and no Tommy and Tuppence. I didn’t solve this mystery, well, I solved a portion of the mystery. Money, poison, nice twists, surprises . 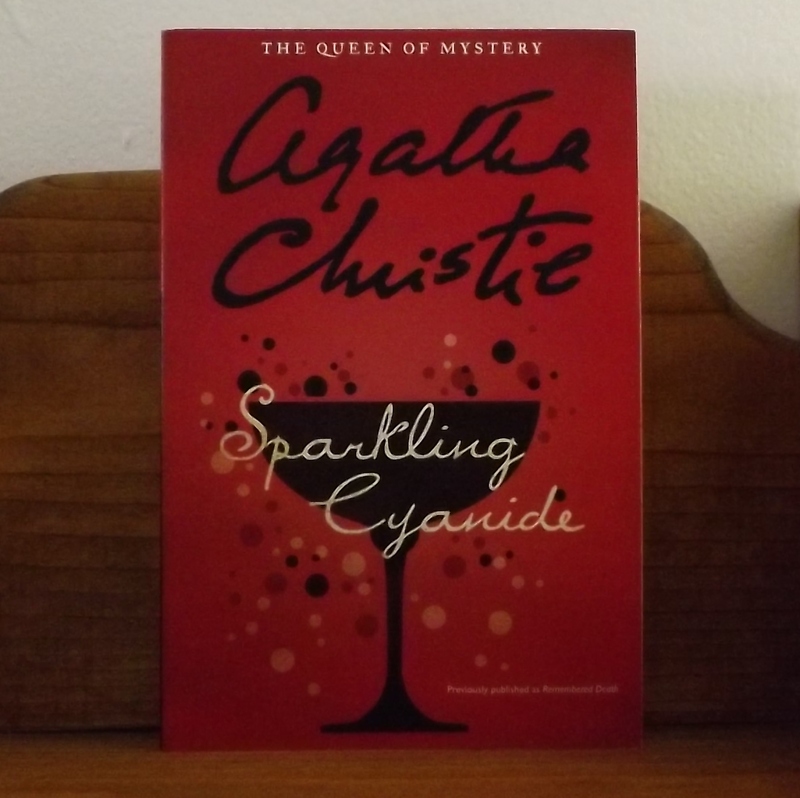 . . “Sparkling Cyanide” is a good mystery! I haven’t read all of her mysteries, but I have read many. My personal favorites: “N or M,” The Murder of Roger Ackroyd,” “Murder On the Orient Express,” and “The Mirror Crack’d From Side to Side.” If you like a good mystery, read any of her stories, read them all! Just pick one! Enjoy! Every time I look at her, she reminds me of spring time. Theodore Roosevelt National Park in Medora, North Dakota was one of our early hiking experiences. We drove to Medora in early autumn. When we arrived at the National Park, we were exhausted from our long drive, so we parked our van and slept for a couple of hours. When we woke, I sat up, looked out the window and there was a buffalo standing next to our vehicle, looking IN the window. Once we entered the park, we found a campsite, that’s right, we camped in a tent! We camped in the south unit of Roosevelt National Park. Approximately an hour drive from the south unit, there is a north unit. We hiked the entire north unit, which was a little unnerving because there is so much wildlife. I hear so much about wildlife in their natural habitat and – WOW – Roosevelt National Park is loaded with wildlife in their natural habitat. We saw buffalo, bighorn sheep, prairie dogs and my personal favorite – the wild horses. When we were there, they were led by a chestnut stallion. Anyway, Rick and I both thought the north unit was more picturesque. The first morning we woke up to 29 degrees! Rick got the campfire started, to warm up and to cook breakfast. I jumped in our van and started it so I could get warm! While I was in my sleeping bag, I was toasty, but once I exited my sleeping bag, it was CHILLY! The second morning we woke up to 38 degrees. Believe me there is a big difference! 38 degrees feels like a walk on a sandy beach compared to 29 degrees! One night I woke up and I heard an owl hooting. I thought he was going to keep me awake all night, however, he actually had a lulling effect and I was soon sleeping soundly. One night I heard a family of coyotes near our tent. The pups were a playful bunch. I could hear their puppy barks, yips and growls. The entire time I was at Roosevelt Park I wanted to see a buck in the wild. I told Rick, we need to watch for a buck. We stumbled upon a area in the park that was a small meadow. There were three deer munching on the plant life and one of those deer was a buck! I was so excited. I was bouncing up and down, pointing out the window. Rick turned his gaze to the buck and said, “That’s not a buck, that’s a mule deer buck!” Well, I like that. ha! I said to him, “A buck is a buck and that is a buck!” So, I saw my buck. We had so much fun at Roosevelt National Park. It’s a great place to hike and I don’t think it’s a difficult hike. If you enjoy hiking, I’d recommend it! “I’m a little teapot . . . ” Seriously? 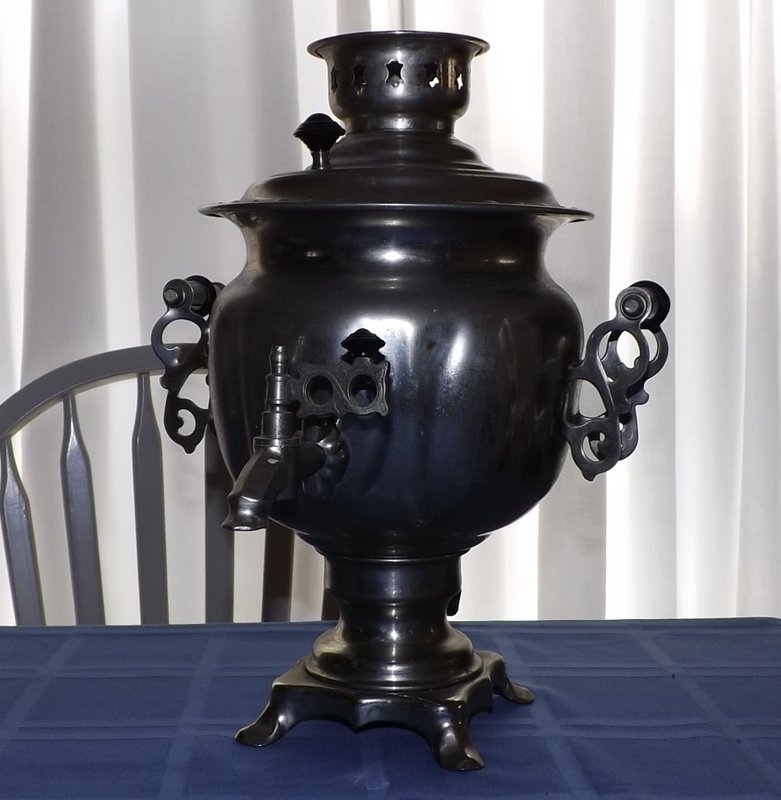 She walked away for just a minute and got the employee who acquired the samovar. I asked her also, where she got the samovar. 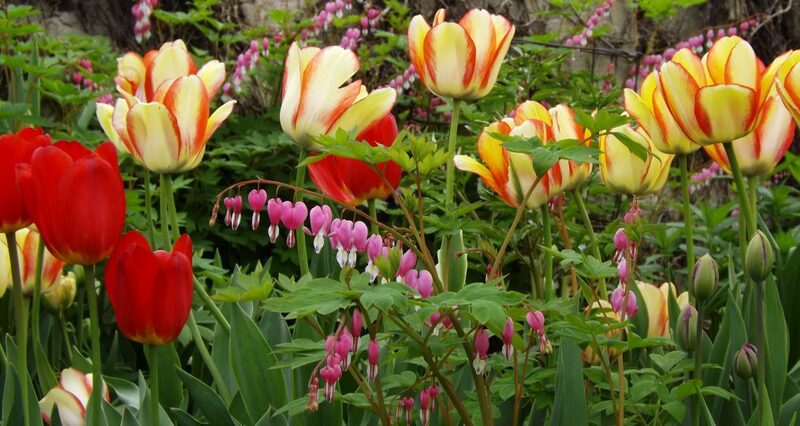 She bought it from a woman in her nineties and it had been in her family for many years. That was all the information the woman would give her. The original instructions came with the samovar and they are written in Russian.